A stunning debut that crosses genres of fantasy, sci-fi, speculative fiction and horror with a unique spritz of magic. In a world bounded by the radioactive flash curtain, the miners of Outpost 5 burrow into tunnels in search of cirium ore, the only element that can keep the distant Protected City safe from deadly sickness. No miner’s handier with her axe than teenage Orion, whose fame as Chief Ore Scout and mastery of infamous Tunnel 9 – the most terrifying of all the tunnels – are legendary. Mining took the life of Orion’s mother, radioactive storms killed her little brother, but like all her people – not least her forever caving partner Dram – Orion knows they are indeed the fortunate ones. OK, they work in brutal, deadly conditions, but it’s what her people do, and what they’ve always done; a life of service in return for food and shelter. And now there’s a big new motivation: when she and Dram finally bring up 400 grams of cirium (a lifetime’s work for most miners, but now so attainable for Orion and Dram), they will have earned a new life of freedom in the Protected City. Blue sky, fresh air, peace . . . it’s all so close now, Orion can practically smell it! But then some strange newcomers arrive in camp, and Orion makes a discovery that changes everything. The miners have been betrayed, and Outpost 5’s real purpose is far more sinister than they’d realized. Kick-starting a rebellion, Orion and Dram don’t only have to combat the terrifying flash bats, tunnel gulls, and bone-crunching orbies of Tunnel 9 – now they must question everything they thought they knew about life on both sides of the cirium shield. Now they’re about to discover that Outpost 5 was a holiday camp compared to the burning sands and surreal punishments beyond the perimeter, where the only promise is death. Somehow they must survive, because not only are Orion and Dram falling in love – they are also carrying with them a powerful secret. One which could free their people and change their fearful world. 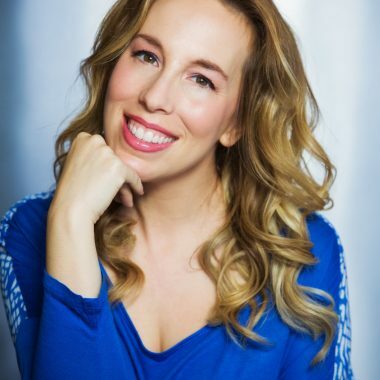 Jenny studied writing at Seattle Pacific University, and has written and voiced national commercial spots. She co-owns Luminary, a production company, with her filmmaker husband. Their creative exploits have taken them all over the U.S., but they currently make their home with their three boys in Des Moines, Iowa. 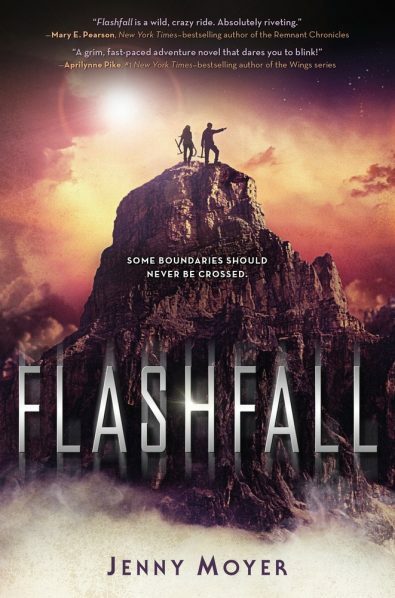 FLASHFALL is Jenny’s debut novel, with a sequel following in 2017/2018.